Feedback started mixing vinyls in ’95 in the H.R.P radio trasmission (R.O.R. 87.9FM in Rome from ’94 to ’98). In the next years he producing music and collaborating with Composite Profuse, Kobol Electronics,Dave Grave (c-34). 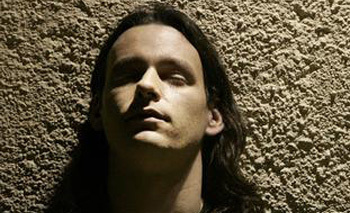 In 2002 he founded, together with the others ,the MinimalRome label. He released many tracks and remixes from Finally (MR01 2003), to the last track a remix for The Hacker “haunted remix” (MRX17-2010) Also some tracks were released by foreign labels like Automatik Datadamatik(GE), Transient Force (US),and truckstop 76th(IT). In 2010 he started a collaboration with Minimum Syndacat (FR) and Kombination Research(UK). Now Feedback is one of the more appreciated techno-electro producer of the underground and his side project TeslaSonic (together with Composite Profuse) is an example quite unique in the scene as laboratory and open concept.